Springsoft methane and gas reduction systems are designed to resolve a wide range of water problems. Water coming from certain wells may contain dissolved gas such as methane or carbon dioxide. When the water is depressurized or poured from the tap, the dissolved gas comes out of solution, and bubbles or cloudiness often result. This cloudiness will then dissipate as the gas is fully released from the water. Gas is generally not desirable in water as it can lead to plumbing damage, fixture malfunction and may be flammable in the case of Methane. These systems consist of a large atmospheric holding tank, a ventilation shaft, chlorination system and re-pressurization system. An atmospheric holding tank allows the gas to come out of solution, while the ventilation shaft allows the gas to be released safely out of the home or building. The chlorination system treats the water to assure water safety, and has the added benefit of assisting in the reduction of iron and sulfur. It also treats iron and sulfur bacteria. Treated water is then re-pressurized into a holding tank for use in the home or building. 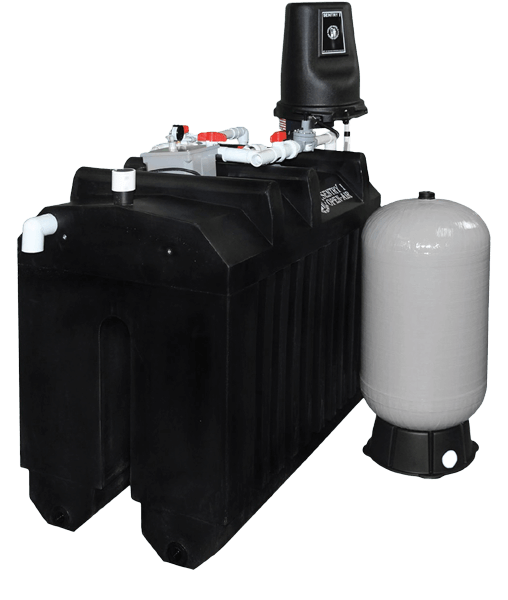 A backwashing media tank and conditioning system may also follow this system to remove the balance of any chlorine and soften as required. Your Springsoft Water Specialist will assist in providing proper sizing and placement, as well as an on-going service plan to assure long term operation and performance.